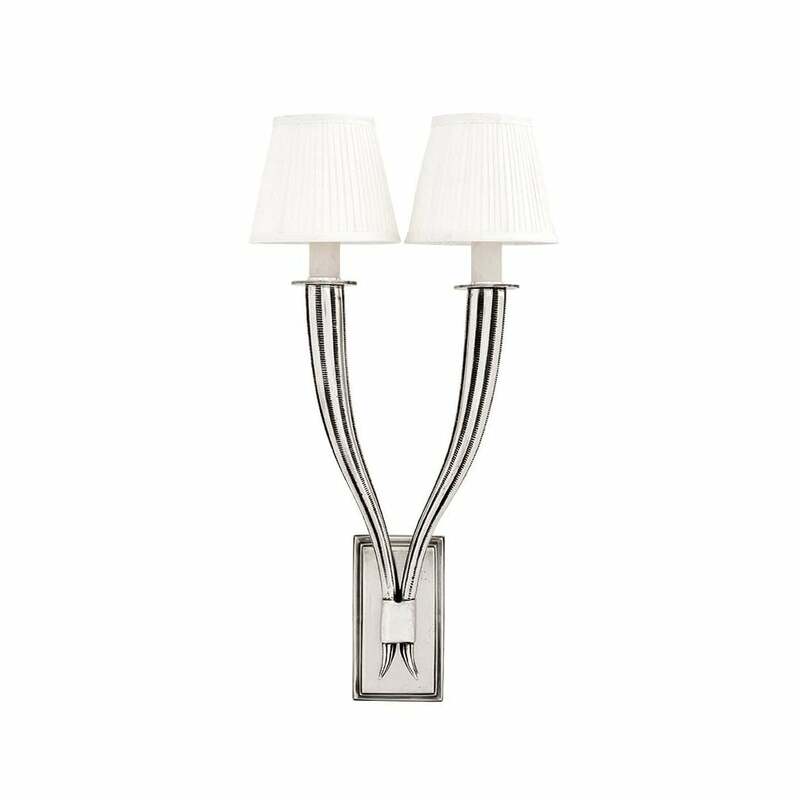 Illuminate your interior with the Mayflower Double Wall Lamp by luxury homeware designers, Eichholtz. Inspired by delicate stems of flowers, the wall lamp features two flowing arms that are finished in antique silver. Completed with elegant white pleated French drum lampshades, this sophisticated piece will add a touch of timeless glamour to your home. Position above a bedside table or either side of a fireplace for a classic look.